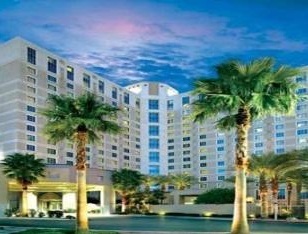 Las Vegas now has four Hilton Grand Vacations. Be sure You do not mix them up, they are all top quality properties but are very different. 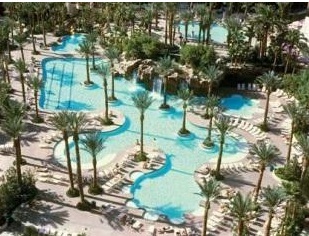 The most recent Hilton Grand Vacation is the Elara, formerly Planet Hollywood Towers. 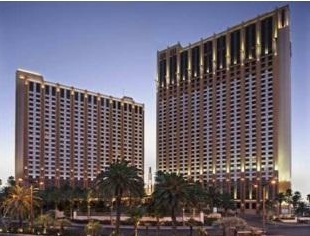 Hilton Grand Vacations 2680 Las Vegas Blvd South is located close to Circus Circus in the block just north before Sahara. Hilton Grand Vacations at Flamingo has an address on Las Vegas Blvd but is actually on the back of the Flamingo property off the Strip. 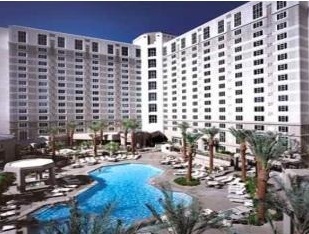 Elara - Hilton Grand Vacations is formerly Planet Hollywood Towers and is located at 80 Harmon Ave in back of Planet Hollywood and is accessible through the Miracle Mile Shops. 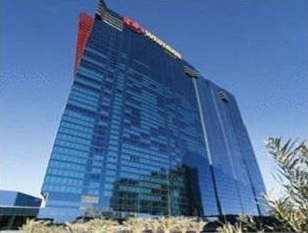 This Hilton Grand Vacation pictured above is located on the North end of the Strip. The closest Casinos are Circus Circus, Slots a Fun and Riviera. Sahara is no longer open. This is a great location if You plan to go Downtown, the bus will get You there in just a few stops from this location. Hilton Grand Vacations on Karen Ave pictured above is steps away from the Las Vegas Hotel Casino (former Las Vegas Hilton) and is also steps away from the Las Vegas Monorail, which makes this location minutes from anything on the Las Vegas Strip. 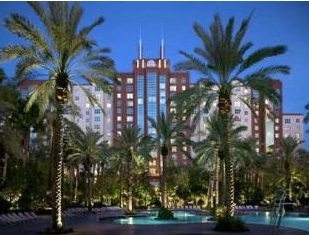 The Hilton Grand Vacations at Flamingo pictured above is located at the back of the Flamingo Hilton. 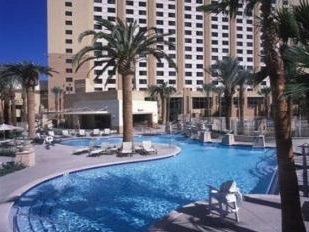 The swimming pool pictured is actually that of the Flamingo Hotel which is just a few more steps than the smaller swimming pool at the Grand Vacations. 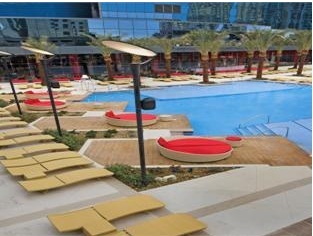 Elara, Hilton Grand Vacations, pictured above, is the newest member to the family taking over the former Planet Hollywood Towers. This location is where the most action is in all of Las Vegas. Now that CityCenter is complete along with The Cosmopolitan this area is busiest. A great place for People watching for sure.